Razon's, a Filipino specialty restaurant originating from Pampanga, became well-known because of its signature Halo-Halo and Pancit Luglug. 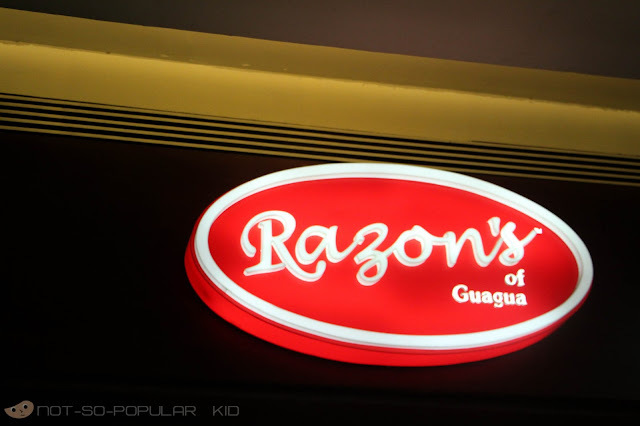 Razon's store started as a mini-stall or "refreshment parlor" at the Razon residence in L.M. subdivision in Guagua. 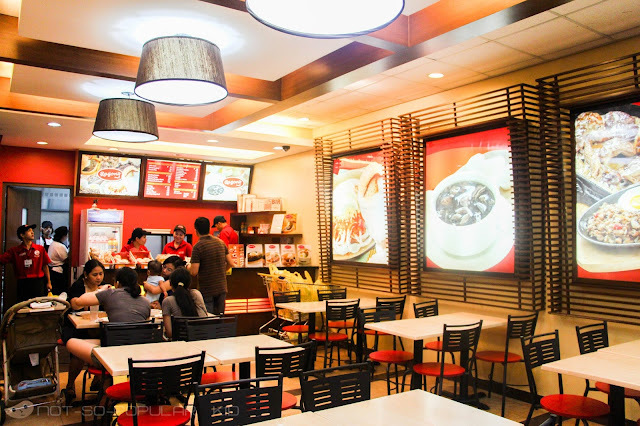 Due to the simple yet excellent taste of the halo-halo, the store became extremely popular through word-of-mouth. Today, they have no less than 20 branches all over Metro Manila. Below is a photo of one of the branches found in SM Manila. 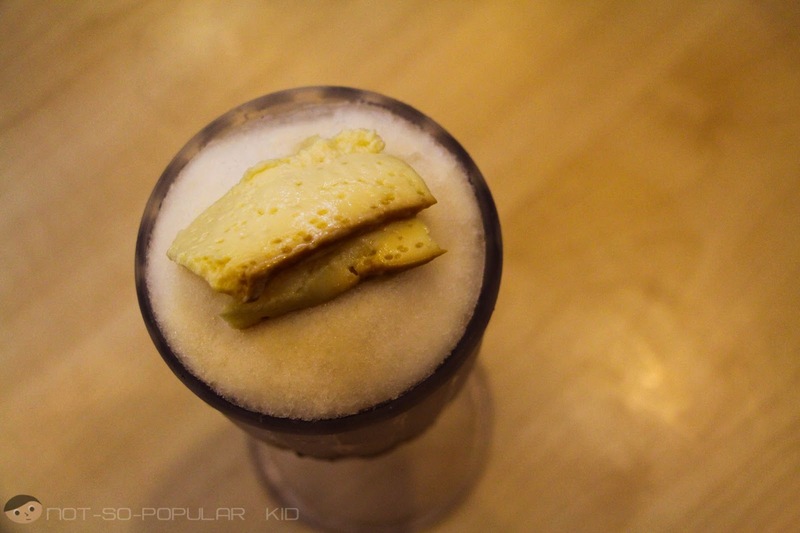 This halo-halo features a "simple yet excellent mixture of only three choices of ingredients, sun-ripened saging na saba, macapuno and leche flan with dayap rind traditionally cooked to perfection." I really love the overall simplicity of Razon's Halo-Halo. If I were to describe the taste, I will oddly say "honest" because of its pure heavenly goodness. The presence of only 3 main ingredients make you focus on the uniqueness each can offer. Everything dances well in harmony creating a memorable halo-halo experience. Another thing that I really appreciate regarding the halo-halo of Razon's is the quality of the crushed ice. You will enjoy how it smoothly and easily melts in your mouth. Trivia: Korea has its own version of our halo-halo, and Koreans call it Bing-Soo. 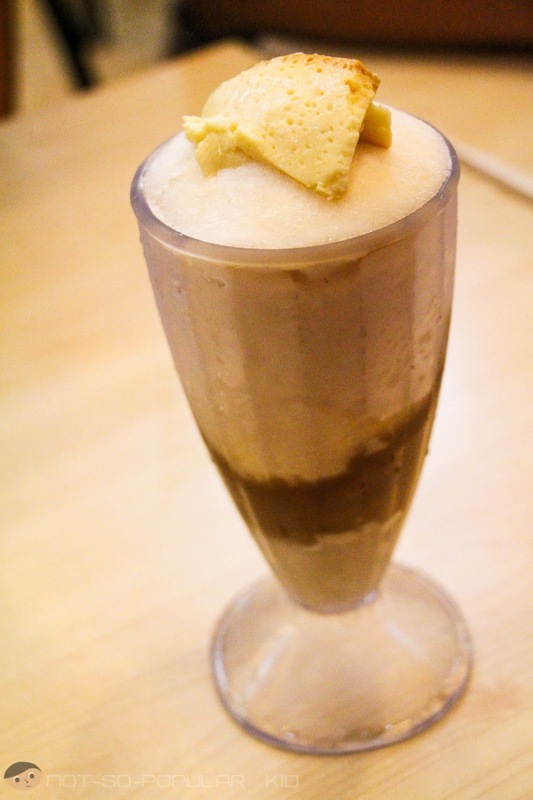 Love in a glass - Razon's Halo-Halo! Overall, I was able to feel the love in the halo-halo I had, and I am proud to say that this is the best halo-halo I tasted so far!